Without a doubt, asphalt shingles cover more homes in North America than any other type of roof system. Developed around the turn of the twentieth century and improved upon over the decades since, asphalt shingles offer three important benefits to homeowners: durability, economy and style. While asphalt shingles may not beat out slate, clay tiles, or metal for long-term durability, they are by no means a weakling in the realm of roof protection. Shingles protect the base felt, or underlayment, from rapid deterioration under UV radiation and damage from debris and hail. This underlayment is what keeps the roof water tight. Asphalt shingles are meant to take the normal weathering elements and protect the underlayment for 20 to 50 years, if not damaged. Composed of at least one layer of asphalt mixed with a fiberglass base mat and covered with dyed granules of rock or plastic, the least expensive models are tested to last about 20 years if not traumatized. Weightier architectural shingles, also known as dimensional shingles, run from a basic 30-year grade up to a heavy 50-year. 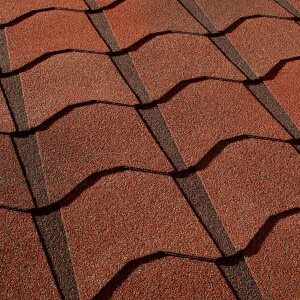 Installation costs may increase or vary with the weight of the chosen shingle system. A rubberized asphalt modifier known as styrene-butadiene-styrene, or SBS, is a fairly new development in shingle technology. SBS makes shingles less likely to crack in freezing temperatures or suffer damage from hailstones two inches or less in size. While SBS shingles do cost more than regular shingles, they have proved themselves worthy of their impact resistant description. 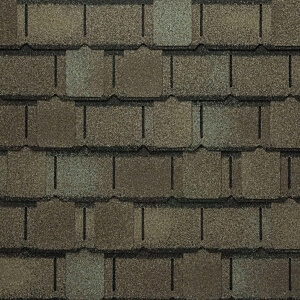 Other shingles billed as hail resistant use a layer of fabric to lessen impact damage. They tend to cost less than the SBS modified shingles. Some insurance companies offer discounts on premiums for use of impact resistant roof systems. Call us to know more about the benefits of SBS. Asphalt shingles cost the least of all systems designed for steep roofs. Plus, installation is pretty simple for an experienced crew. Because asphalt shingles are made from plentiful crude oil, a fiberglass base and inexpensive mineral granules, they can be produced quickly and cheaply. Compared to wood shingles and shakes, tile, natural stone, plastic composites and metal, asphalt shingles can cost less than half as much as some of the higher-quality systems. Although they won’t last as long, you can still protect your home for many years with an economical asphalt shingle system. Because they are relatively easy to produce, asphalt shingles can be created in a huge variety of colours and many different styles. As manufacturers continue to innovate, we expect more style availability in the future. These simple shingles have three distinct tabs below the three-foot nail strip. They’re usually the lightest in weight and are staggered to form a brick-like pattern on the roof. 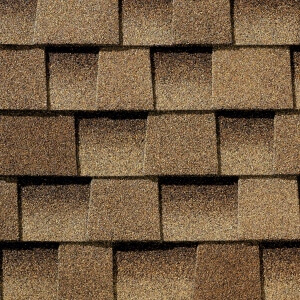 Made to replicate the look of wood shakes, dimensional aka architectural shingles are long like 3-tabs but, rather than tabs, they sport a divided second layer that gives it a higher overall profile. 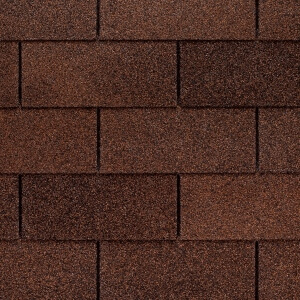 With granules of lighter and darker shades, these shingles provide a nice textured field appearance. With three layers laminated together, these extra heavy dimensional shingles give real wood roofs a stylish run for their money. You can create a shake pattern with even rows or with a staggered look popular with some wood installations. Some brands manufacture asphalt shingles that look like a roman tile roof once installed. By building in black curved lines, at a distance the shingles create the optical illusion of “S”- styled or barrel tile. 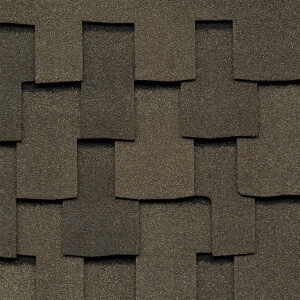 Like the tile illusion, these types of shingles are designed to fool the eye into thinking it sees a slate roof instead of asphalt. With asphalt shingles, you can choose a color and style that will enhance your home’s aesthetic while maintaining a reasonable budget. Contact us today to learn more about your asphalt shingle options and receive a free quote.